In the next year, the U.S. construction industry is expected to grow 6%, totaling $712 billion in revenue. With this continuous growth, it will become increasingly important for companies to adapt rapidly and stay up to date on current industry trends. Below, we’ve outlined four trends that will change the sector over the next year. Off-site construction, also known as prefabricated or modular construction, continues to gain in popularity as a way to reduce the cost and time of projects. Companies are struggling to staff job sites and maintain a consistent working schedule, and the uncertainties of large projects are causing many construction businesses to turn to prefabricated methods. Off-site construction offers significant potential cost savings, along with less waste and reduced time. However, these streamlined methods do not account for the growing design culture, including custom architecture and unique buildings that have to be built on-site. Owners and contractors will be discovering the fine line between what they can—and can not—streamline and make in a secure location and what projects have to be done using traditional methods. This is where accurate, on-demand data is crucial. Contractors use many previous project timelines, costs, and field reports when scoping new projects. Through detailed reports, both the potential snags and additional resources a project may need can be scoped ahead of time, increasing the efficiency of the entire build. Twelve years ago, the US Green Building Council (USGBC) implemented LEED, Leadership in Energy and Environmental Design, which was established to combat the perceived need that specific and set standards and third-party verification be required for a structure to be considered “green.” LEED is a certification program, which primarily focuses on new, commercial building projects and uses a point system to determine a rating. If a company can achieve a status of LEED, it may face significantly higher expenditure upfront, but LEED may also lead to extensive cost savings over time in the form of reduced energy and operational costs, state and local tax breaks as well as other perks. Field and inspection report data is essential to environmentally friendly projects. LEED-seeking projects require detailed documentation in order to reach LEED Certification. Based on the amount of each energy efficient component of a project, also called LEED Credits, the USGBC then approves or denies each LEED Credit, resulting in your final rating. Organization of these items and forms is paramount for successful LEED facilities. Managers, whether remote or on-site, need the ability to check reports consistently to ensure compliance with green energy codes throughout the project. Building Information Modeling (BIM) is a widely used technology, and is quickly becoming the industry standard for large and small-scale construction projects. Businesses of all sizes are beginning to understand the tangible benefits of using this technology. Before designing and generating models of the finished projects, teams use data collected from the initial inspection of the property along with other similar projects to create the best result for their clients. When this data is collected and stored in one secure location, efficiency and productivity increase as well. Over the past five years, workplace injuries and fatalities increased an average of 2% year over year. With the new regulations established by OSHA on Aug. 2, 2016 (for violations occurring after Nov. 2, 2015), construction companies are now being forced to comply with stricter safety standards. This has created an even bigger need for a technology that allows for rigorous and detailed inspections. Investment in mobile data collection software allows companies to scale and adapt to the new regulations without the high cost of recreating paper forms. In the past, deploying technology in the field was a luxury. Now it has become a necessity to not only stay competitive in an ever-changing industry where efficiencies and scale are at a premium, but also as a requirement to exceed increasingly strict safety and security regulations. 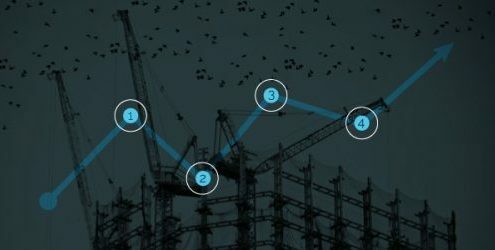 Learn how deploying customizable data collection will keep your construction company at the top of its game by contacting us today.